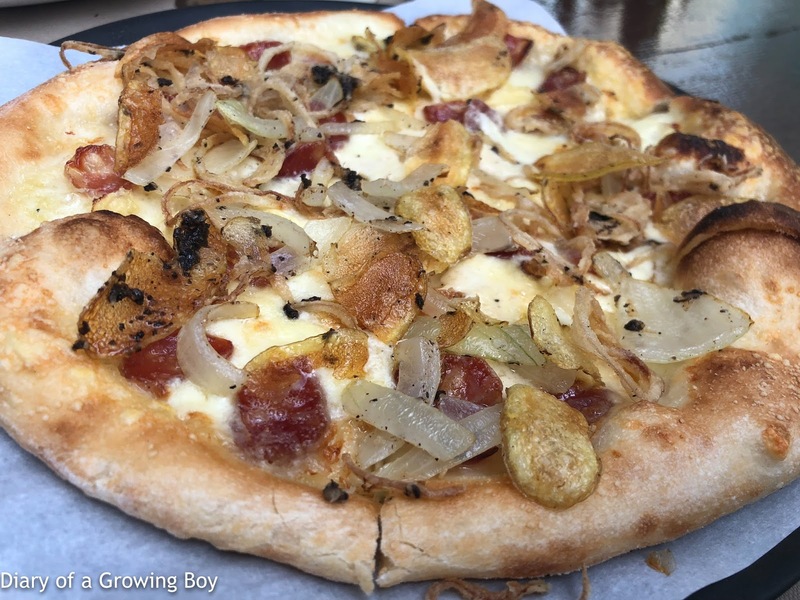 Chinese preserved sausage pizza, by Olivier Elzer - with lap cheong (臘腸), crispy potato, Reblochon, and bacon cream. This was apparently inspired by tartiflette, and this interpretation certainly isn't any lighter than the original... 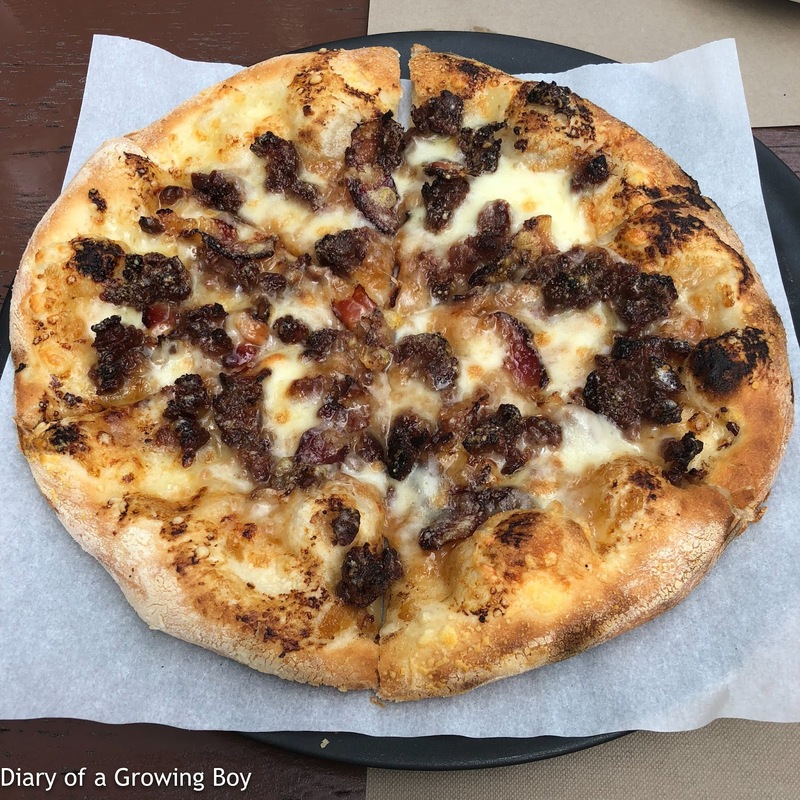 The amount of cheese and cream on this thing was a little overwhelming, and made the crust in the middle very soggy and limp. The genius here came in the form of crispy potato chips on top, which made Fergie and I go "WOW!" It was delicious, but we thought it was simply too heavy. Fergie felt stuffed after having just one slice. But I could certainly see the non-Chinese diners preferring this one for its more familiar flavor combination. Fergie and I were stuffed, so I passed on dessert. Both were delicious pizzas, but I hope my friends at Fancook win this round.